Despite the chaos in this crazy world we can find the peace, hope and joy of our salvation. But remember it is a choice. It is our choice. God allows us to choose joy, peace, and His plan, or attempt to fly through the storms of life gripping the controls not knowing for sure where you are going or what the landing will be like. Listen to this program every Saturday at 12 noon and Sunday at 1:00pm (PDT) at 89.9FM, KYMS Radio Rathdrum, ID. 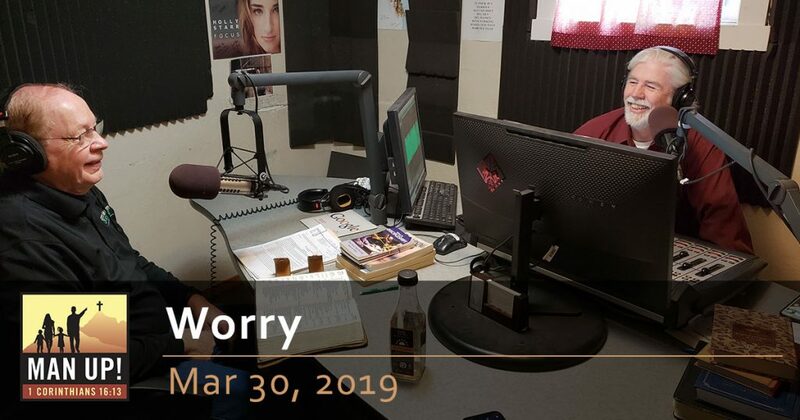 For more information on this topic, find our booklet titled “Worry” in the Men’s Ministry Catalyst online store.